Salome could use some therapy. Let’s just say that Salome is troubled child in a broken, abusive family situation. Here she is holding the head of John the Baptist right before she makes out with it. The severed head was a present from her stepfather. 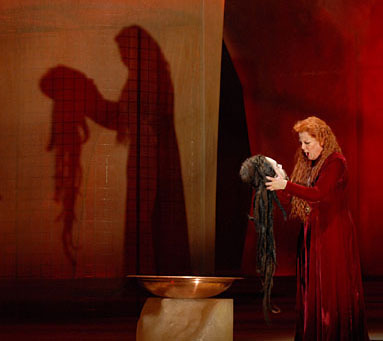 Salome had requested the head as a reward for stripping naked for her stepfather (Herod) while her mother watched. I went to the Washington National Opera tonight to hear Voigt sing the role in this Strauss opera based on the play by Oscar Wilde. I have heard Voigt sing on several ocassions in other places but this was her first time singing with the WNO. Her she is when she is not playing a twisted necrophiliac. And she was fantastic tonight. I once drove for five hours to West Virginia to hear her sing. Based on tonight, I would do it again. Such a voice. 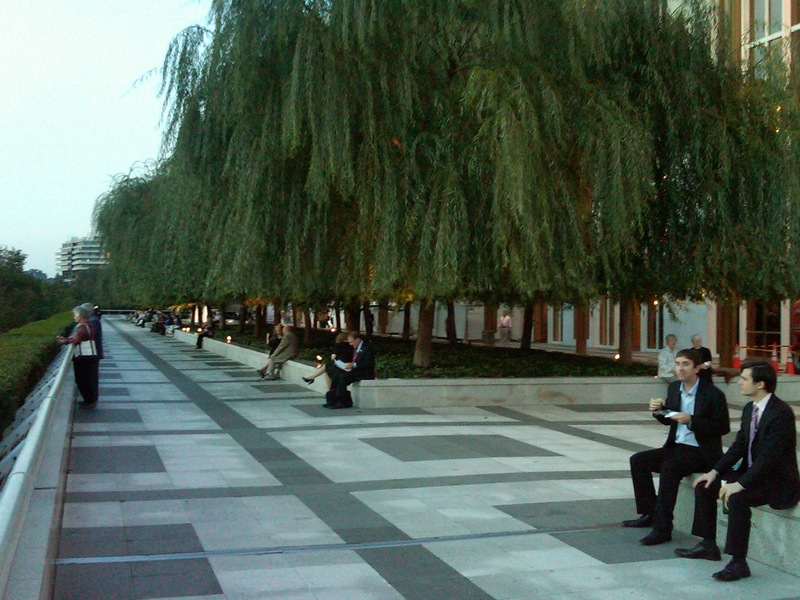 The performance was at the Kennedy Center which is a presidential memorial in the guise of a performing arts center. These are fairly bad photos I took on my phone. They mainly show the views from the terraces. and the Peace Institute in the right of the mid-ground. 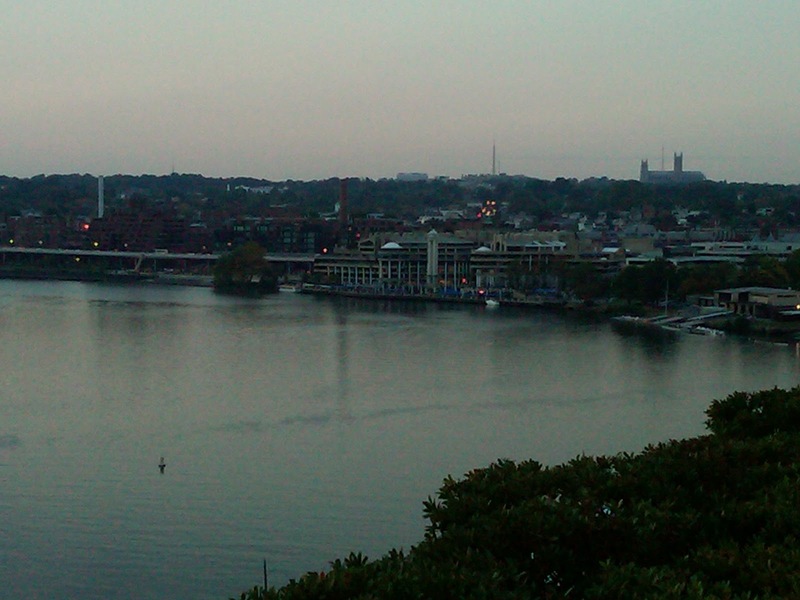 Looking up the Potomac toward Georgetown. 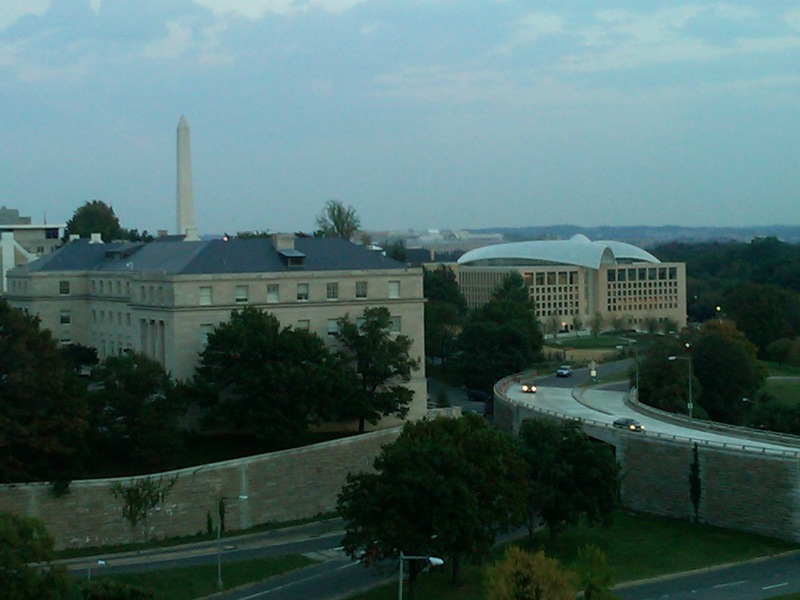 That is the National Cathedral you see up on St. Alban’s Hill. 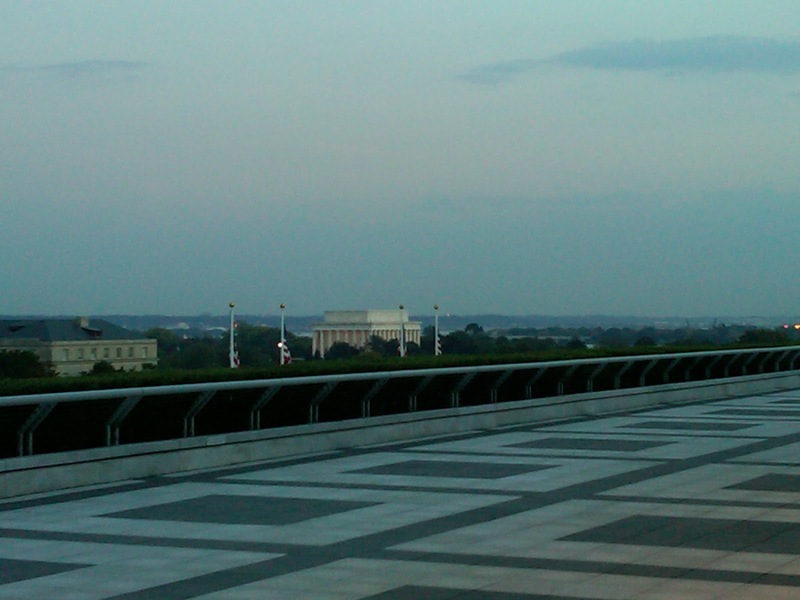 Lincoln Memorial from the roof terrace. This giant bust of Kennedy is kind of growing on me. and kept looking for a giant cracker. Next Article Is there such a thing as American cozy? I am so jealous. One of my favorite operas (what does that say about me?) sung by one of my favorite sopranos. I saw brilliant performance of salome a few years ago and didn't want to spoil the memory so I gave away my ticket to this performance to a friend. I heard it was wonderful and now i'm kicking myself! Steve: I think this was the 4th time I have seen Salome but the first time I felt like I actually “got it” both musically and dramatically. And of course Ms. Voigt made it special. Stefan: Your friend sure got lucky! I was just getting over the shivers from the severed head and then there was the chopped liver bust! Everything in between was very interesting though…thanks, Thomas. Thanks for sharing your pics and experience with us. The pic of the lower terrace instantly transported me to a scene from the West Wing a few years back. The photos are fabulous. 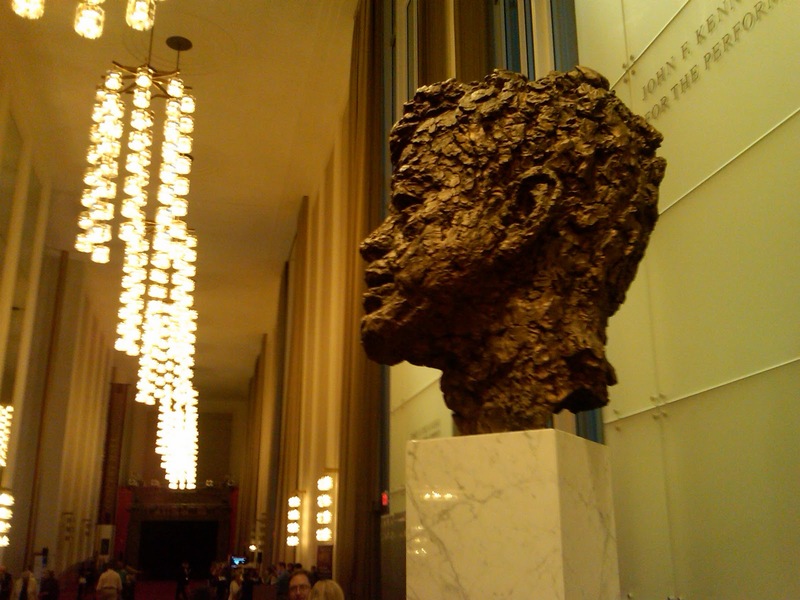 I was at the Kennedy Center Opera Look-In for children this morning, with a bunch of homeschoolers. Wish we could have heard Voigt!